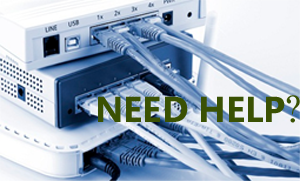 We are the experts in VoIP Telephony. As a matter of fact, we have an entire division, Rapidsoft Telecom, A VoIP solutions Company, dedicated to developing VoIP products and services. Voice over IP (VoIP) is merging telecommunications with the Internet, transforming the way people converse and collaborate with each other in the workplace. Phone calls are transformed into data, giving businesses great new ways to route calls, work with voicemail, and set up offices. VoIP converges telecom and data infrastructures, creating a unified system that is easier to maintain and expand. 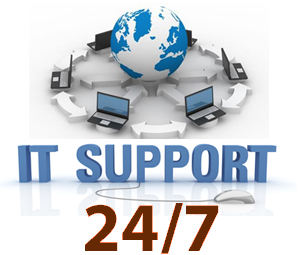 Rapidsoft Systems is experienced in installing and managing state of the art VoIP systems. We use Cisco phones and Asterisk PBX software to build inexpensive, reliable, secure digital voice networks for businesses like yours. Provisioning and Configuration of VoIP Dial Plans, IVR and Call Forwarding etc. Supply of our soft phone SIP clients for Mobile Phones for your team (at additional cost). Flexibility: Add new phones wherever you have network jacks. Set up new offices anywhere that has a broadband connection. Extensions and direct lines move with the person, simplifying moving. Convergence: When you use VoIP, your phone system is the same as your computer network, reducing cost of installation and maintenance. Open Source: Asterisk PBX software is an open source solution that has features that even high-end proprietary PBX systems lack. If it doesn't have a feature that you need, it can be easily customized to fit your needs. Best of all, it is free software that runs on inexpensive Linux servers, reducing installation and maintenance costs to a fraction of proprietary systems such as Call Manager and Avaya. Clarity: Sound quality is crystal clear, and is not affected by degraded phone lines. Scalability: When call volume starts increasing, you only need to add bandwidth. You don't need to buy or replace hardware, or pay for additional licenses. Better yet, if you install this system in a remote office, calls between your offices are free! Management Made Easy: Rapidsoft Systems manages your VoIP system, giving you lightning fast response time to problems and requests. Compatibility: Our Digital Voice is compatible with any traditional carrier, as well as with VoIP carriers that support Inter-Asterisk eXchange (IAX). It's even possible to replace antiquated modems for dialing into government systems! For more services, check out our division Rapidsoft Telecom, A VoIP solutions Company. Rapidsoft Hosted PBX is our business-class Hosted PBX solution with the flexibility and scalability of Internet communications. With Rapidsoft Hosted PBX, your communication is no longer dependent on hardware or location. In addition, you get a host of communication tools you won't find on any traditional telephone system, at any cost! It's all part of our converged voice and data service, which consolidates your communication network, increases employee productivity, reduces your costs, and basically just makes your life a whole lot simpler. And with our enterprise-grade Quality of Service (QoS), and managed IP network services, you're assured of the most reliable communication solution available anywhere today. What can Rapidsoft Hosted PBX do for your business? Rapidsoft Hosted PBX eliminates the need to purchase or lease expensive PBX equipment to gain advanced calling features such as voicemail, automated attendants, extension dialing, call forwarding, call park, or call transfer. Rapidsoft Hosted PBX also eliminates the need to obtain service from multiple carriers for local and long distance calling, PBX tie-lines, private lines, etc. The service also includes Internet access and Quality of Service (QoS) to guarantee voice quality, all on one invoice. Bottom line, our VoIP offers freedom from legacy equipment costs, eliminates reliance on slow-moving traditional phone companies, multiple bills, and offers flexibility to deliver customized user productivity solutions for your company.